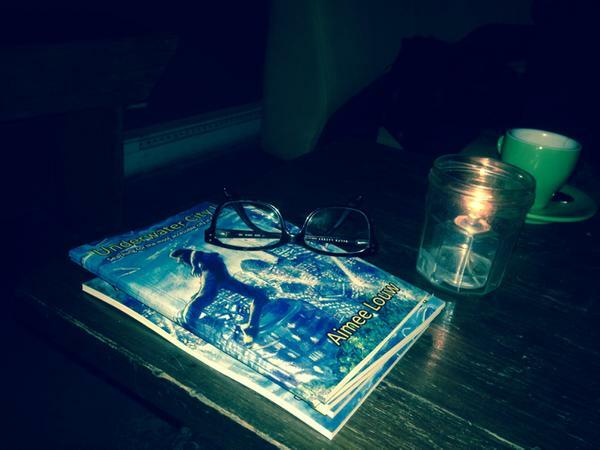 The Underwater City Project is a multimedia production and zine series, searching for the most accessible city in urban Turtle Island/Canada. The project documents personal experiences of ableism and access in five cities – Vancouver, Edmonton, Toronto, Montreal, and Halifax – through writing, interviews, photographs and film. 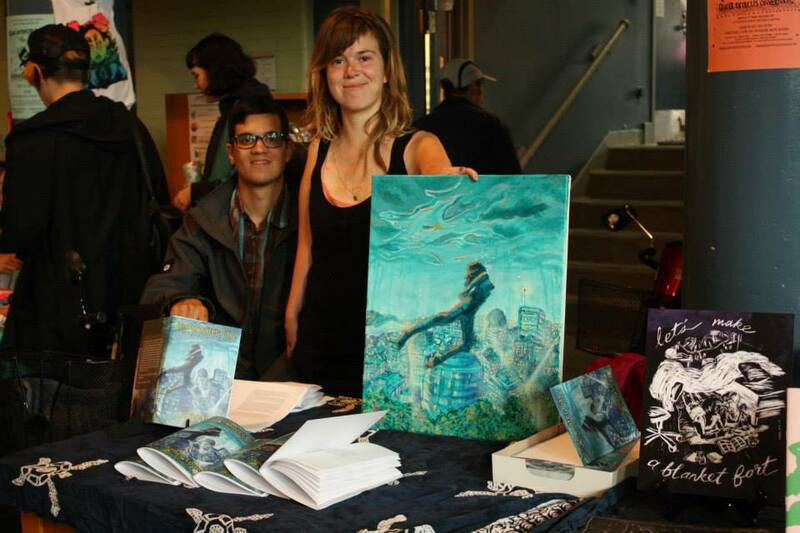 Released in August, 2014, UWC I contains interviews with activists and artists living in 5 Canadian cities, poetry, creative non-fiction, and analyses of barriers to access and the movements that emerge in response. Underwater City explores aspects of living within normative infrastructures, adding to discussions around queerness, who is welcome in our cities and communities, and sharing visions of swimming to the nearest grocery store. so I could put on my goggles, see everything kind of foggy, and swim around. I kind of see things better from a distance anyway, with something between me and the thing I’m looking at. Usually when I fall in love, I fall into a lot of it. 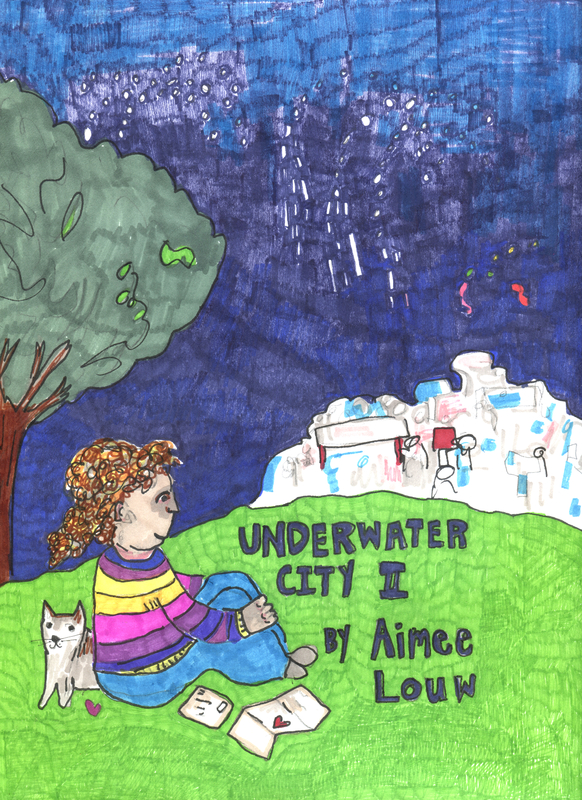 Following on the heels of Underwater City Zine I, Underwater City II: Stories of Love from the Broken City explores the many facets of loving, belonging, and exclusion that exist in Montreal, Quebec, deemed one of the most inaccessible cities in Canada. Why do we feel so awkward on buses? Why is it so important to spend time with our crip family? Snapshots of togetherness in the midst of a heated protest, feelings of complete isolation standing in front of the Transit Commission with a poem as my arsenal, romance and community in the face of ambivalence are shared, expanded on and spun into a tapestry of in/accessibility in the Broken City. UWC II builds on the comparative findings of zine I to further explore access, queerness, and who is welcome in urban spaces.